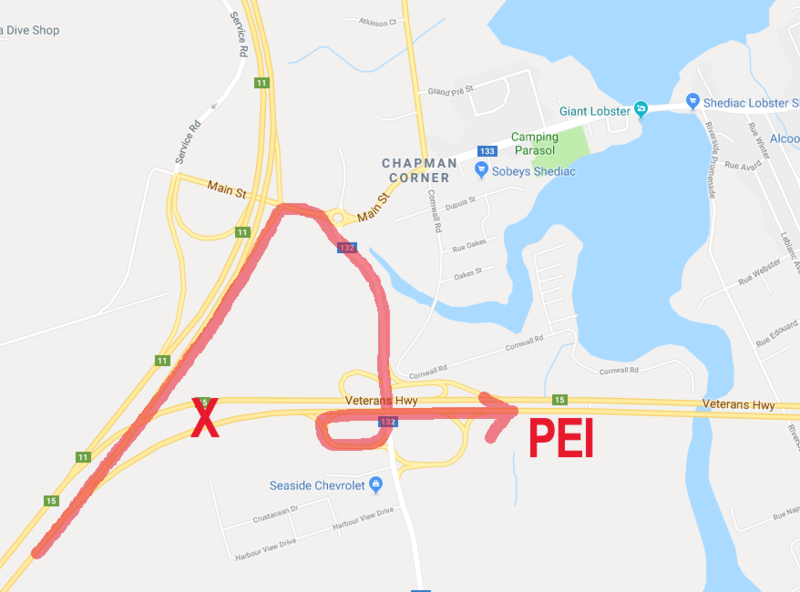 Drivers heading to P.E.I. 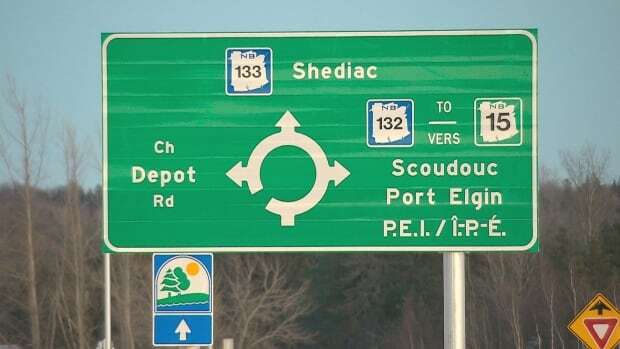 from Moncton are running into some confusion after changes to the highway near Shediac, part of a massive twinning project of route 11 between Shediac and Miramichi. Some drivers have gone as far as Bouctouche before realizing they were heading in the wrong direction. That's 35 kilometres past the turn to P.E.I. at Shediac. "The sign for P.E.I. happens quite a way back before you would turn off," said Rich Beharrell, who travels back and forth to Moncton three times a month. I see a sign. What's the issue? I did a little exploring, and the issue seems to be that the highways are still in an interim configuration. But now, because the ramp from NB 11 to NB 15 is closed, you can't go east directly onto NB 15; instead, you have to go north on the new NB 11 to the next exit, then head east to the roundabout (where the above sign is posted), head south on NB 132 toward Exit 0 (! ), and then take the cloverleaf onto old NB 15. So, it seems that the signs aren't necessarily the problem, although listing "PEI" as the third "control city" probably doesn't help. Perhaps a local can tell me that I'm full of it, though. You can still see the old aerial. 11 exited itself at a cloverleaf. I agree that an interim configuration like that can be very confusing and needs plenty of extra signs.